Maybe you’re that magical mom or dad who can walk into the kitchen at 5:30PM and create something marvelous from nothing without a plan and without stress every night. Or maybe you’re that other magical mom or dad who naturally plans every meal a month ahead. But the likelihood is you’re more like me: a fly-by-the-seat-of-your-pants cook who whips up something last minute every night, but gets a bit stressed out by the chaos. Maybe you’re finding unused vegetables rotting in the fridge, or maybe you’re running to the grocery store every other day! 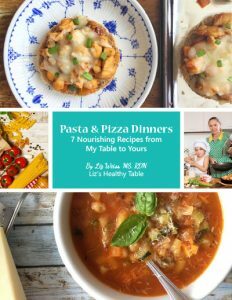 There’s no doubt that without a meal planning strategy, preparing and consuming a nourishing and delicious diet can be a challenge. 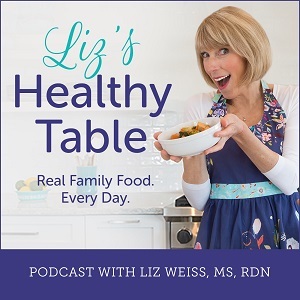 In my recent survey of the Liz’s Healthy Table community, I heard from quite a few of you with questions and comments like, “what are your best meal planning strategies?” and “what are your suggestions for pre-prepping produce for cooking nourishing recipes?” In this post, it’s my goal to solve your mealtime dilemma, and I did it with the help of fellow dietitian bloggers. 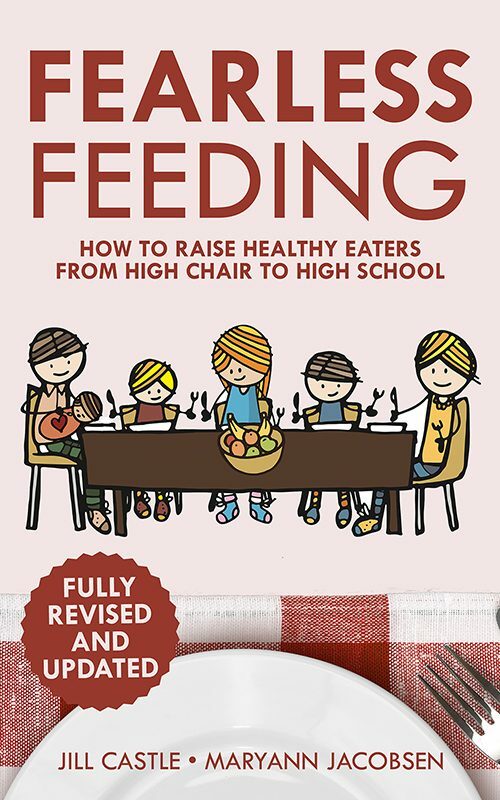 It’s National Nutrition Month, so let’s celebrate with some new strategies for making your life easier when it comes to feeding your family healthy meals. 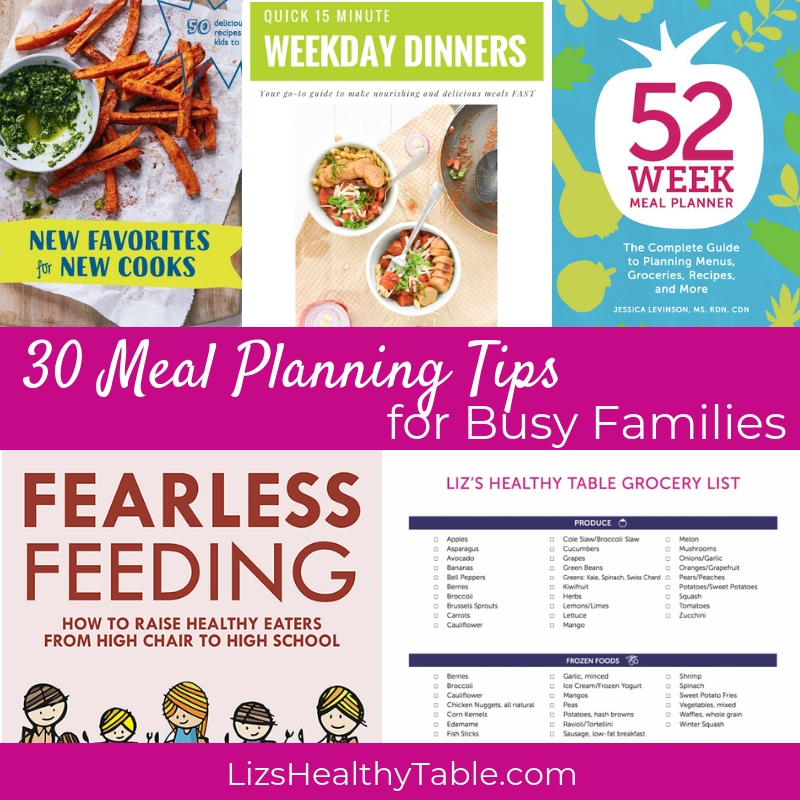 As you scroll through this meal planning blog post, you’ll find links to my FREE Supermarket Shopping List and 7-Day Meal Planner, and I’ll tell you about a few of my favorite family cookbook resources. To sweeten the post, I also gathered dozens of tips from fellow dietitian bloggers to make your meal planning and meal prep journey even easier. Get ready for a whole new way of cooking. Watch this video for my top 3 meal planning tips. 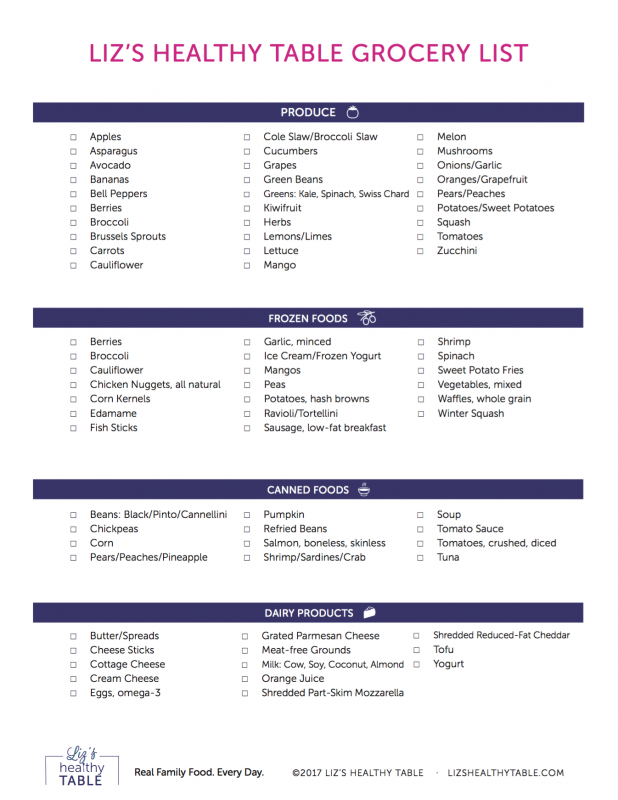 (9) Start small: You don’t need to plan every meal for every day of the week. Start with planning one day a week or just dinner for a couple of nights until you get in the swing of things. Write it down; don’t rely on remembering what’s on your plan. Putting it in writing increases the likelihood of following it, and it’s also helpful for the rest of the family to know what’s coming up for the week. And plan theme nights. For example, Meatless Monday, Taco Tuesday, Wacky Wednesday, Leftovers Thursday, Fish Friday. 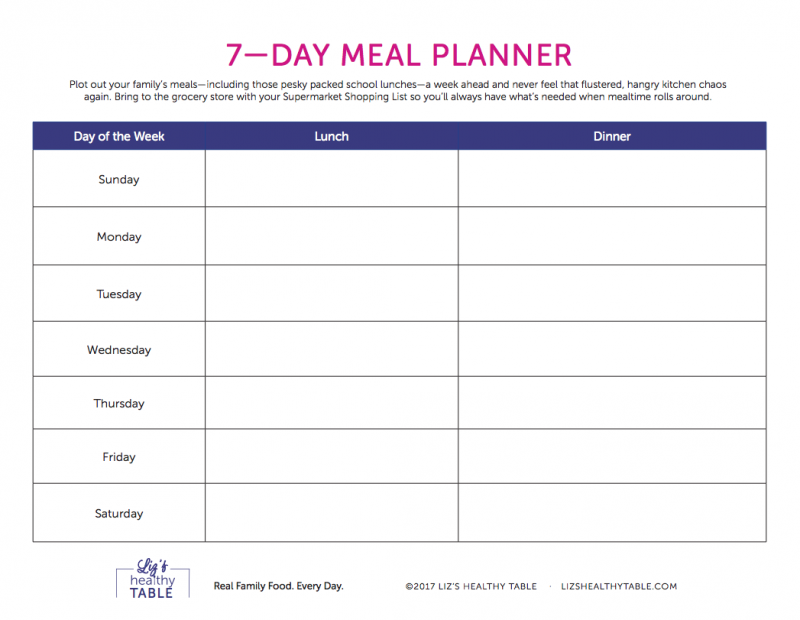 Having a theme reduces the amount of time spent planning and keeps mealtime fun! 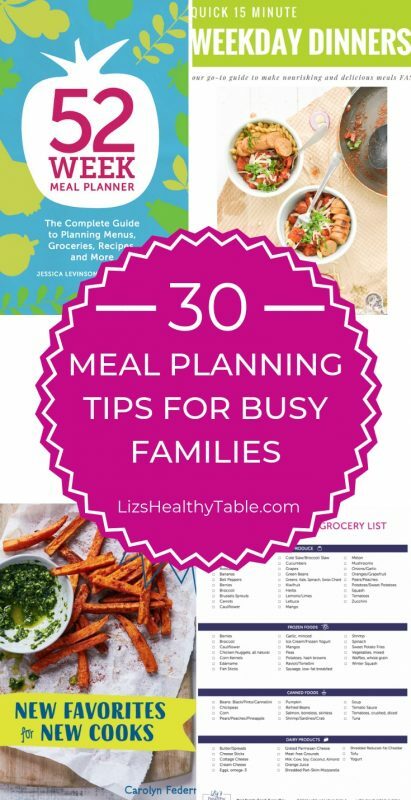 (26) Keep your family’s favorite cookbooks nearby: Include your kids in the meal planning process to up the odds they’ll get excited about what’s for dinner. 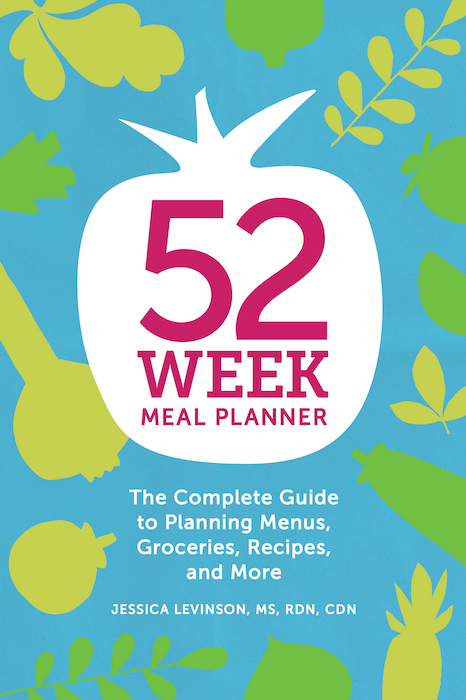 Set out your favorite cookbooks each week and flip through them with your kids. 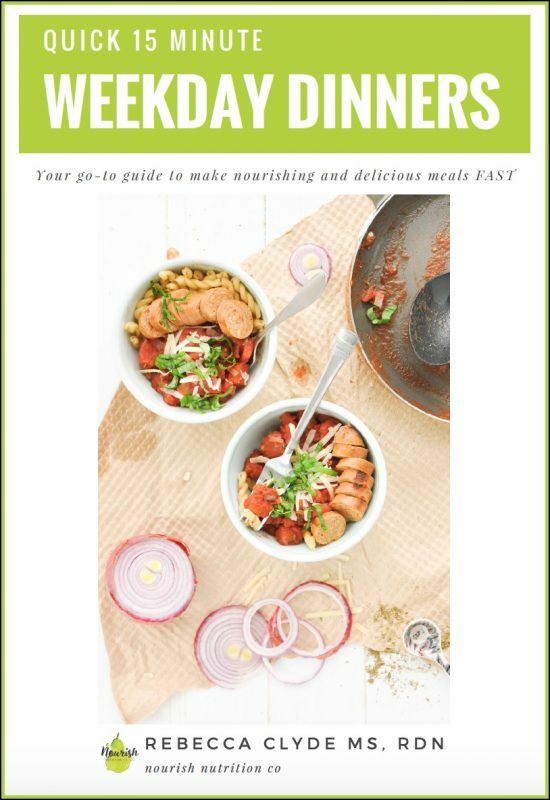 Choose new recipes to try along with old favorites, and add them to your 7-Day Meal Planner. 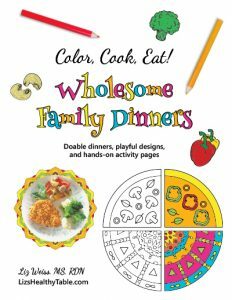 Cookbooks with pictures are even better, because it helps everyone visualize the meals that will ultimately land on their dinner plates. Need inspiration? 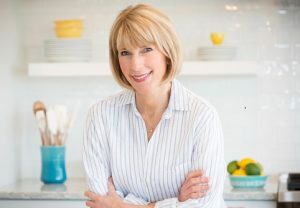 Check out the cookbook authors who’ve been on the LHT podcast and hear all about their recipes and stories. 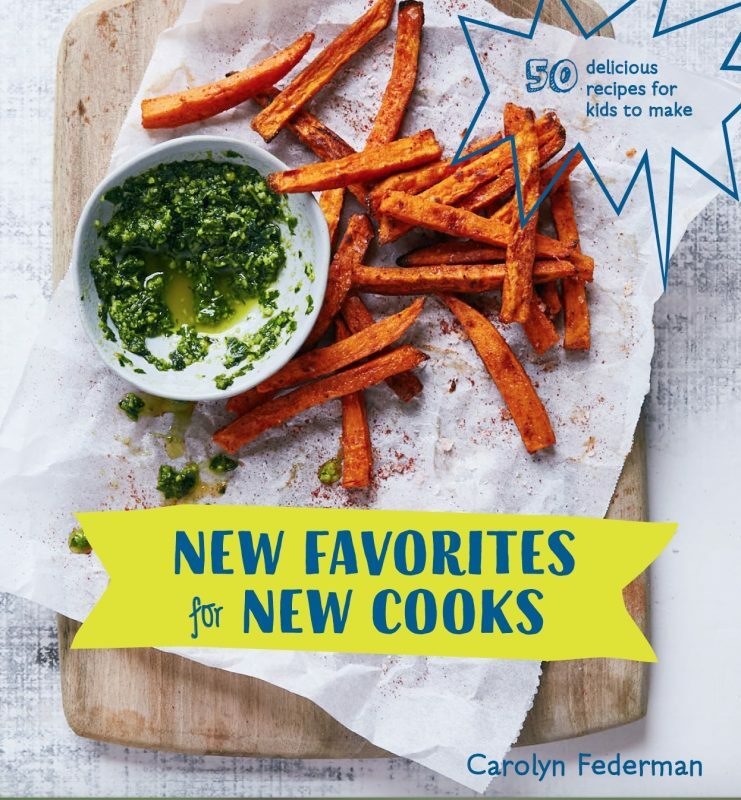 Some recent favorites include, Great Food for Kids by Jenny Chandler; New Favorites for New Cooks by Carolyn Federman; and the Healthy Instant Pot Cookbook by Dana Angelo White, MS, RD. What’s your best meal planning tip? Do tell! Love this great list of resources. Honored to be included! I am going to check out some of these great ideas from colleagues as well! Great post, Liz!